In starting a community garden, the Coharie tribe reclaim their autonomy in agriculture, transforming it into a place for healing and community. 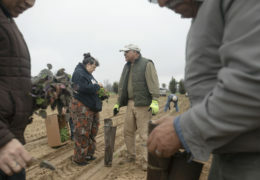 UNC senior Sierra Dunne records their story, learning about the deep-rooted connections among soil, sorghum syrup, and boundless generosity in the process. 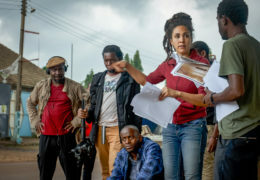 From Chapel Hill to the Democratic Republic of Congo, music professor Chérie Rivers Ndaliko empowers students to come together and use creativity as a touchstone for social change. 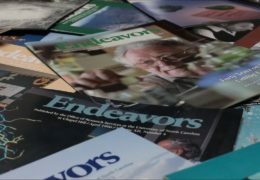 Throughout Endeavors’ 35 years, some of Carolina’s brightest and most innovative researchers have graced the magazine’s cover. A look back at some of our favorite not only reveals the evolution of a magazine but all research at UNC. 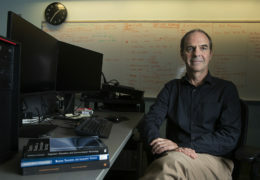 To celebrate Endeavors’ 35th birthday, former editor Neil Caudle shares thoughts from his 15 years with the magazine, touching on the importance of research communication and his favorite moments at UNC. 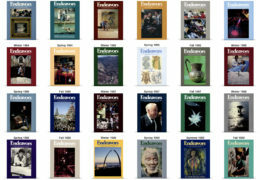 In the 28 years Endeavors was a print magazine, over 80 editions were published and featured researchers in a variety of disciplines –– from medicine to theater. The Endeavors’ team sat down with a few who formerly graced our covers to look back on their experience working with the publication. 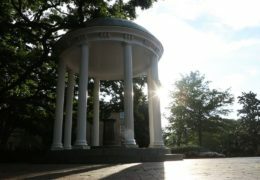 This week, UNC celebrates University Research Week — an annual campus-wide event packed with lectures, workshops, and undergraduate research stories designed to promote awareness of research opportunities at Carolina. When Meredith Emery photographed geography researchers conducting fieldwork, she couldn’t believe what she saw — a slew of litter along streambeds and forest lines. Now she’s sharing these images through a multimedia project blending art and science in an effort to change how the public relates to and thinks about the local environment. A mic, a live audience, a story. That’s Carapace, a monthly storytelling event held at Manuel’s Tavern in Atlanta, Georgia. 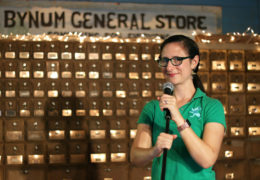 By attending this local favorite, Sarah Beth Nelson — an Atlanta native, storyteller, and UNC doctoral candidate — strives to understand how oral information sharing shapes human relationships and community dynamics. Imagine a new kind of humanities study that emphasizes construction over criticism, personal interpretation over competitive argument, and serendipity over planned outcomes. 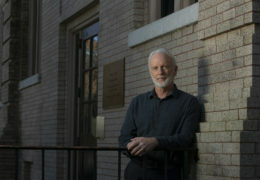 Using digital media, Daniel Anderson changes how students and scholars interact with literature. 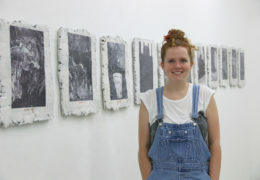 Senior Annie Simpson is majoring in studio art within the UNC College of Arts & Sciences. Using a mid-20th-century analog camera, she investigates how North Carolina’s socio-political and socio-economic changes affect the built landscape and the area’s material culture. Most recently, she compiled her photos into a series of artist books for her Summer Undergraduate Research Fellowship (SURF) project.